Hello from Phoenix! I’m posting mid-travel to Portland, where Vida Vegan Con is just starting to kick off. It’ll be such an exciting weekend of blog posts, and I hope you’ll be tuning in! 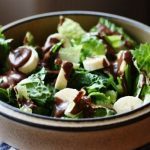 Today, my very lovely and talented friend Clotilde has featured me on her blog as part of her “cooking on vacation series.” Other bloggers who have contributed while Clotilde is traveling are Heidi Swanson, author of 101 Cookbooks, and Molly Wizenberg, author of Orangette. These blogs, along with Clotilde’s, house some of the finest food writing and recipes on the web, so I’m pretty flabbergasted to be in their company. Thank you, Clotilde! If any of you are interested what tools and ingredients travel with me on vacation, what my fondest vacation cooking memories are, or if you want to hear about my most traumatizing food experience was, check it out! 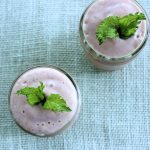 While we talk about Chocolate and Zucchini, I thought I would share my favorite new smoothie recipe, which employs both. 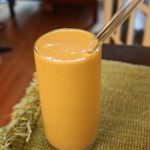 This smoothie is essentially lifted from an ingenious smoothie concoction that Valerie made just a little while ago, and which you can find here. Given my propensity to put green vegetables in just about anything, and sneak my carrot pulp into smoothies, it actually surprises me that this never occurred to me before. Valerie made her chocolate and zucchini smoothie with zucchini pulp; I just grated 3/4 cup zucchini and froze it. You could certainly do either: the result will be a delicious, filling, and veggie-ful smoothie no matter what! Blend all ingredients on high, and top with whatever your’e in the mood for. More cacao nibs would be great, though I was personally in the mood for the granola spin on my no-bake sunflower oat bars. It was delicious! 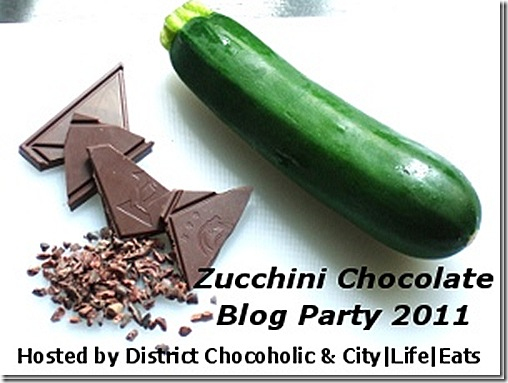 A fun chocolate/zucchini recipe round up that’s going on from now till the second week of September. But since I basically copied Val’s excellent smoothie, I’ll need to come up with something a little more creative! Maybe you guys can help me with suggestions. On that note, back in the air I go. Back with dispatches from the Pacific Northwest soon! Have fun at the conference! I know lots of amazing women are going to be there, many of whom I’d love to meet in person (including you!) and Heidi. Love her and all her amazing cookbooks as well as being in the spirit and vibe of it all…but another trip for me was not a practical decision so will be glad to read your posts and others’ posts about it. Chocolate makes everything taste better. Nuff said. Have so much fun at the conference!! I can’t wait to live vicariously through your posts. I’m pumped about this recipe! My roommate’s grandmother just gave us a two foot long zucchini from her garden. Congrats on the guest post. That is amazing!! And wow, SUCH a good smoothie idea. Love it!! Have so much fun at the conference. Definitely wish I was going. Have fun with Sarah. 🙂 xo! 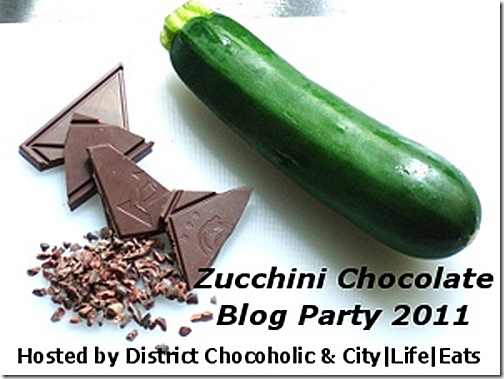 Great article on Chocolate and Zucchini about travelling! I’ve added hemps seeds to my list for my Europe trip next week along with gluten-free bread, almond butter, quinoa, meal replacement bars, Vega bars, and probably some sort of dried fruit and/or seed mix. That with a good juice bar at the airport and I’m set! You learn something new everyday – I never knew you could freeze zucchini! I put it in everything – my addiction right now is zucchini oatmeal. It’s like the bread, but in oat-form. 🙂 Next up: this ice cream! Are you starting to feel like more of a real cheffer now? I think this looks lovely. 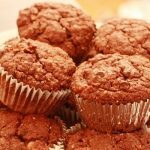 As for chocolate zucchini, I say do some raw cookies with cinnamon, ginger, cocoa and cardamon, with either pureed zucchini or grated zucchini, kinda like a play on chocolate zucchini bread! Love this! ive been trying to add spinach to my smoothies and every time I do it anyone i tell looks at me crazy! at least this isnt a bright green smoothie like mine turn out! very excited to try this tomorrow with all the zucchini in my fridge! I have a recipe I shared a while back on my blog for carob zucchini raw cookies, no nuts, dried fruits or grains at all. Really cool for a light snack or dessert! 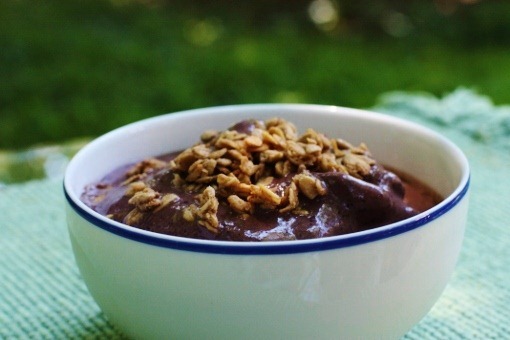 I kind of hopped off the veg smoothie bandwagon after my obsession with green monsters ended a while back, but I’m making a mental note to make a chocolate zuke smoothie one day! It sounds great. 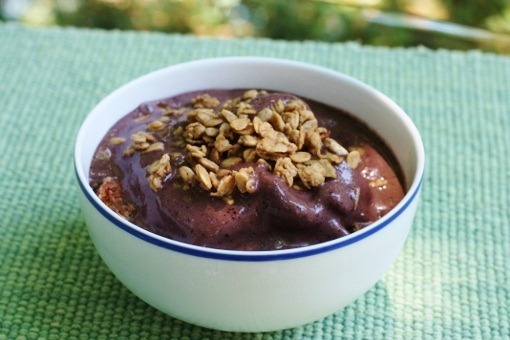 I’ve tried frozen cauliflower in a smoothie before! It was a long time ago, but I remember it being kind of gritty. Probably not the best veg to put in a smoothie. Wow. Have never put zucchini in my sweet smoothies! Sounds great though, as it works in sweet bread. Congrats on the guest post too–and have a great time over there. Can’t wait for your Vida Vegan Con coverage, I wish I was there! 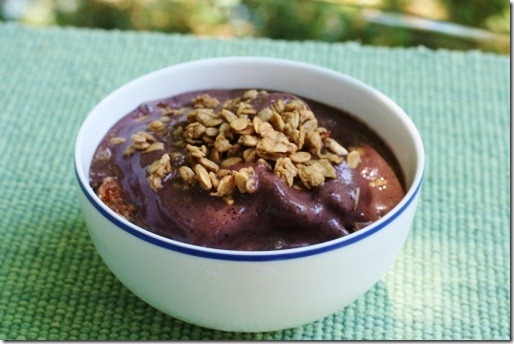 This smoothie looks wonderful, I love adding veggies to mine. 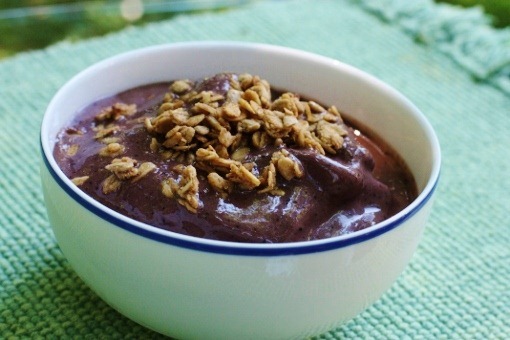 I love chocolate and zucchini together, but had never thought of putting zucchini in a smoothie. I have been experimenting with veggie juices in smoothies (golden beet juice with blueberries and bananas is delicious! ), but this gets me thinking “out side the box” on what other whole veggies could added. This is going in the blender tomorrow morning. It’s such a community feeling to be surrounded by other passionate people. The more I read your blog and share in your dedication to veganism and a healthy diet, the more I try to think outside the box with food. Thanks! 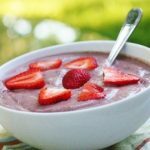 Gena, this recipe looks incredible! This is one of the many (many, many) reasons I love your blog. You give us easy to make – incredibly delicious – dishes! I’m drooling over this recipe! Looks totally delicious! You should be very proud of this delicious dish. I am really glad that I have visited your blog and found some inspiring and outstanding ideas. I have a great time spending my time reading some of your posts. I will definitely visit your site again! Keep it up! I would be glad as well if you will visit my site http://www.meamoeba.com. Oh my, this is absolutely my breakfast tomorrow morning. I picked up most of those ingredients at the farmer’s market this morning, and can grab the rest at the store this evening. Yum! Years ago, I had the tastiest vegan chocolate zucchini cake with the smoothest, richest frosting…and haven’t been able to find a recipe that even comes close since. I’m still hunting, but this will tide me over in the mean time! Haven’t tried making this one but I am looking forward to it. Anyways, what’s up with your search for that tasty vegan chocolate zucchini cake? Have tried this one? Looks like chocolate pudding. Does it taste like it too? Looks delicious! Love this !